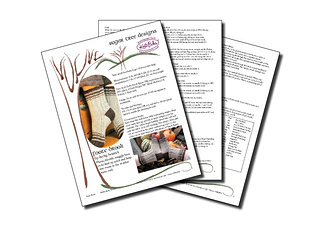 These boot socks knit up quickly in sport weight yarn for warmth. 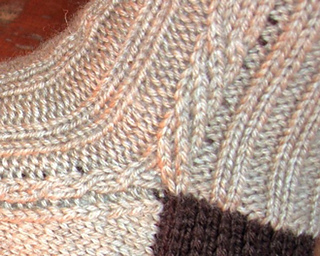 The cables begin halfway down the cuff and pull the fabric in to add shaping. 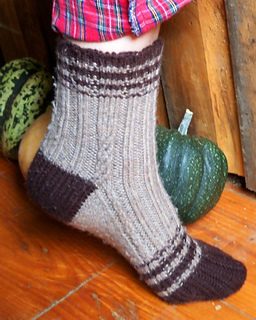 The stripes at the top and before the toe are worked in the same contrasting color as the heel and toe. 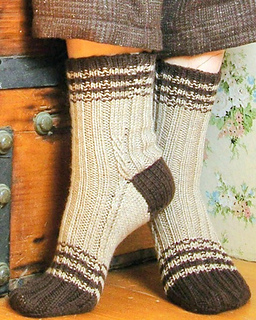 This allows even the large size to be knit from just two skeins of Stroll Sport. 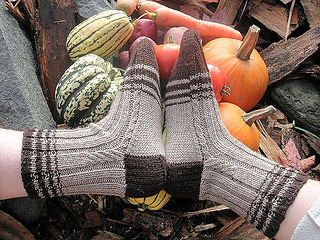 Pattern name factoid: Foote Brook runs down the hill I live on and all the veggies in my photos are from the Foote Brook Farmstand!